Directions. Heat olive oil in sautee pan on med-low heat. Put chopped onions and chopped green bell peppers in pan and cover for 10 minutes. While waiting cut boneless pork up …... Layer the chopped romaine lettuce, cooked and cooled butternut squash and Brussels sprouts, chopped apples and pears, dried cranberries, bacon, and sunflower seeds. Season lightly with salt and pepper, if desired. In a skillet, cook chopped, thick cut bacon until browned and crispy. 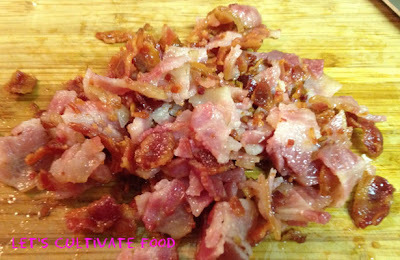 Use a slotted spoon to transfer the bacon to a paper towel-lined plate. Let cool and then crumble. 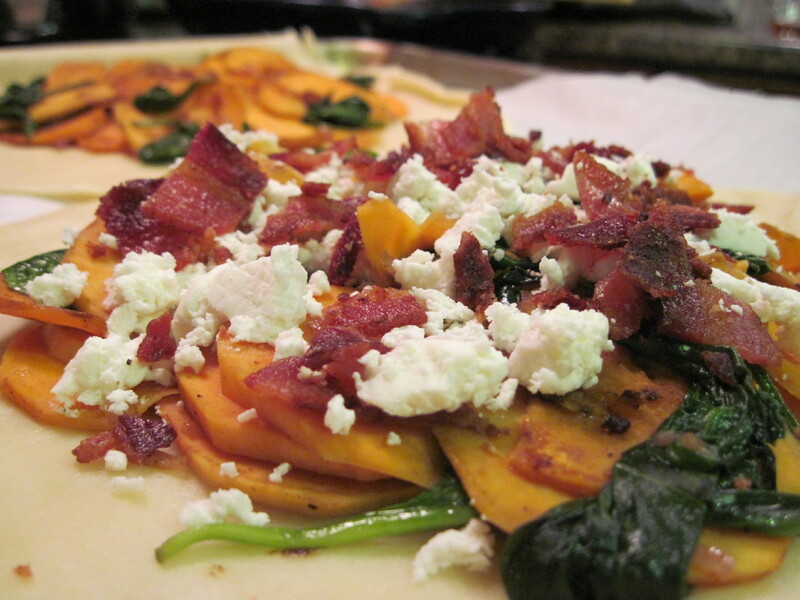 Use a slotted spoon to transfer the bacon to a paper towel-lined plate. In a large skillet, cook bacon, stirring occasionally, over medium heat until crisp, 5-6 minutes. Remove with a slotted spoon; drain on paper towels. Discard all but 1 tablespoon of drippings. Brown ground beef in drippings; remove from pan. Add onion to skillet; cook and stir until translucent, 2-3 minutes. Add garlic; cook 1 minute more. To cook the burgers, preheat the grill on high heat until the temperature reaches 375 - 400°F, about 10 - 15 minutes depending on the grill. If desired, place a large cast iron griddle or skillet on the grill grates and preheat with the grill until smoking.